In Albania there is a silent threat to all of Europe from a group of three thousand Mojahedin (MEK) who are accommodated in a camp in our country. In an article published in Huffingtonpost, it is said that there is a risk that the MEK will cooperate with the Albanian Mafia, and have even tried to recruit Albanian youth for their own purposes. For this reason, the MEK has moved to a second camp called ‘Ashraf Three’. 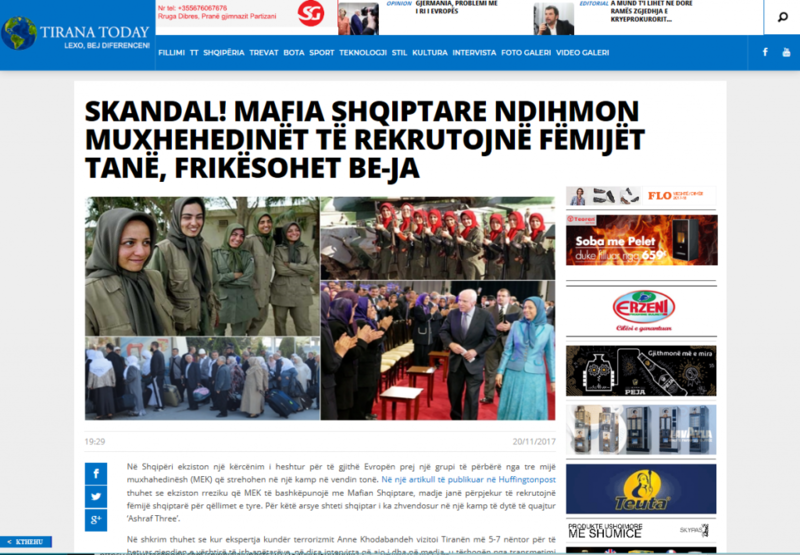 The article states that when anti-terrorism expert Anne Khodabandeh visited Tirana on November 5-7 to investigate the difficult situation of former members, some of the interviews she gave in the media were withdrawn from broadcast due to threats by the MEK and Albanian mafia when she revealed that she had discovered that the MEK is actively recruiting Albanian youth to join their cause. According to the author of the article, the goal for the arrival of thousands of Mojahedin from Iraq to Albania was for their de-radicalization, but that never happened. 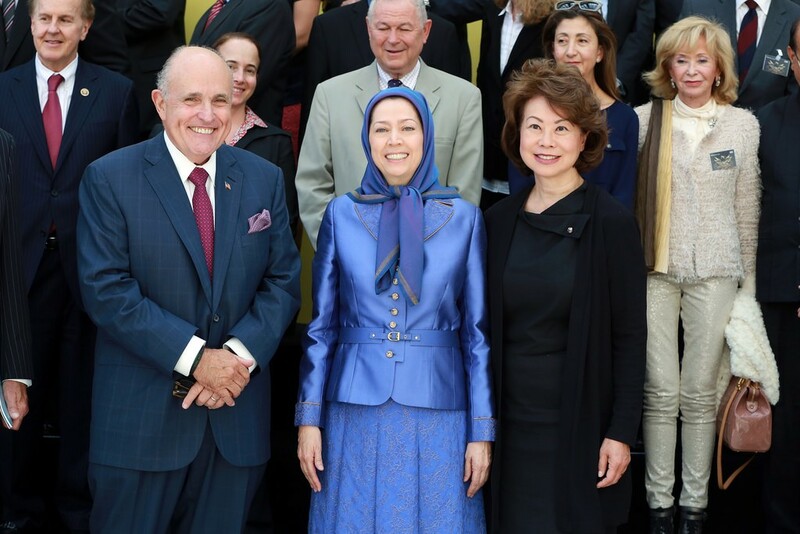 The article is authored by the director of Middle East Strategy Consultants, Massoud Khodabandeh, who as well as expressing concern about political slavery, warns of the danger of a Second Jihad represented by the Mojahedin cult under their leader Maryam Rajavi. According to him, the Mojahedin in our country are political slaves, indoctrinated and kept in complete isolation. And if they try to abandon the group, they are humiliated, beaten and even killed. Although America turns a blind eye to political slavery, the European Union takes a very different view. Not only are Albania’s efforts to join the EU completely hindered by the MEK’s ​​activities there, the rapprochement of the group with the Albanian mafia, and the threat of a new wave of political slavery implies that Albania is now considered a threat to security at the border of Europe rather than a potential partner country. A UK report on modern slavery identifies its various manifestations – sexual exploitation, labour exploitation and domestic servitude – concluding that increased awareness results in an increase in detection and reporting. But, with trafficking at the root of much modern slavery it is clearly a worldwide phenomenon, not limited to the west or to any particular country. Modern Slavery is usually a hidden phenomenon, it goes on behind closed doors and can be hard to detect. Victims are often isolated individuals – domestic servants or cannabis ‘farmers’ – locked away behind closed doors. Nobody knows of their existence because they have been illegally trafficked. Even those more openly kept in brothels for sexual exploitation are unable to escape for fear of reprisals against themselves and their families back home. But there is another form of slavery hidden in plain sight: political slavery. This is not difficult to detect because the kinds of groups which practice it actively seek publicity and influence over worldwide politics. 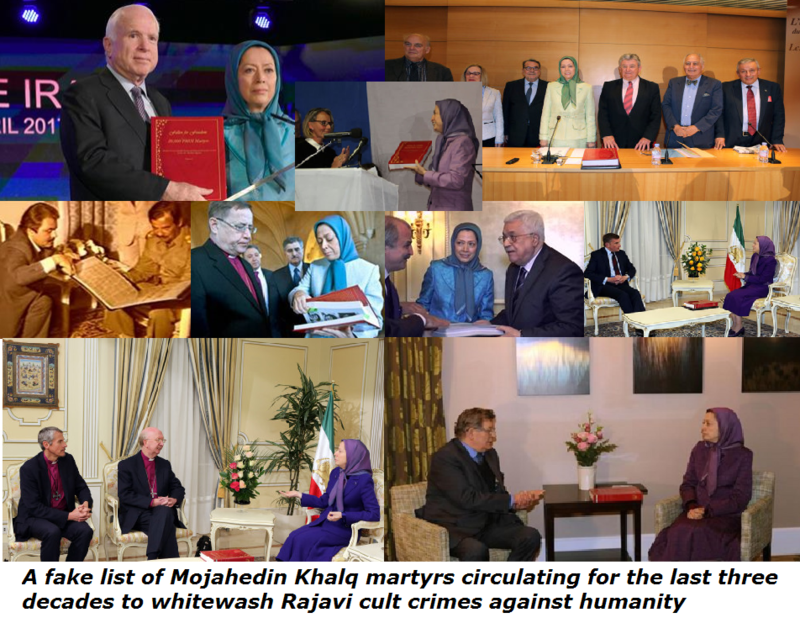 The exiled Iranian Mojahedin Khalq organisation (MEK aka MKO, NCRI, Rajavi cult) is one such group. It describes itself as a democratic political organisation, the main opposition to the Islamic Republic of Iran. But the life of the members speaks of a very different story. 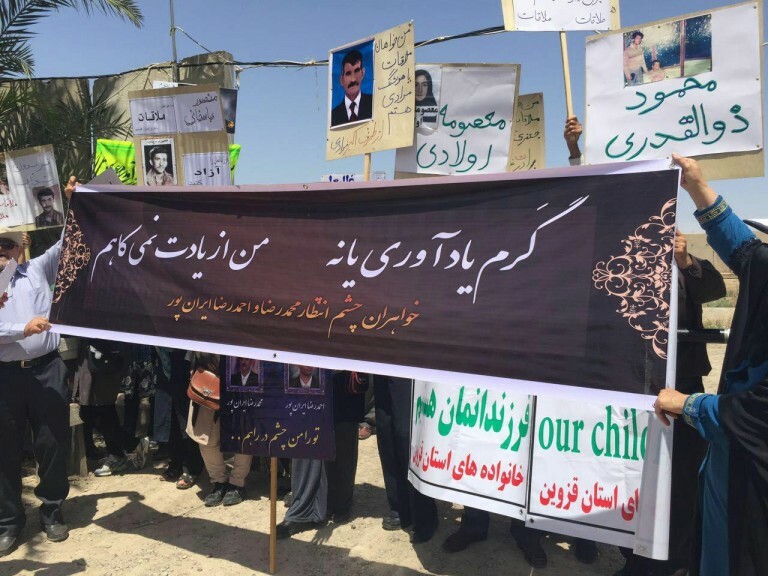 A year ago, the last of nearly three thousand MEK members were finally expelled from Iraq where they had been operating under the patronage of Saddam Hussein. America paid millions of dollars to the UN and the Albanian government to have the group to settle there. Part of the deal was to establish a de-radicalization programme to return the members to normal life. This did not happen. 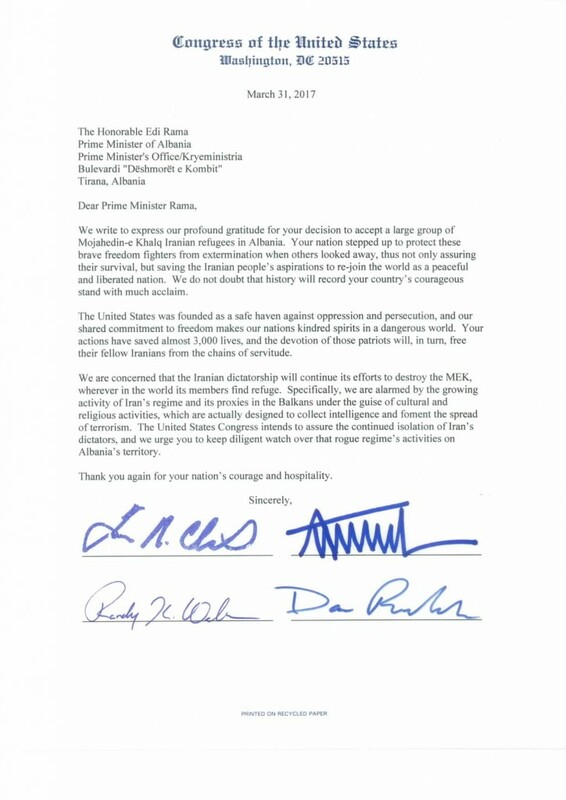 Instead, the group closed ranks and over the past year, several high-profile US politicians and former officials opportunistically visited Albania to heap praise on the MEK for its anti-Iran stance. John Bolton, Senator John McCain, among others have unabashedly promoted the group by meeting its leader Maryam Rajavi there. Of greater concern was that during this same period the families of these MEK members in Albania complained to the UNHCR and the Albanian government about the treatment of their loved ones. 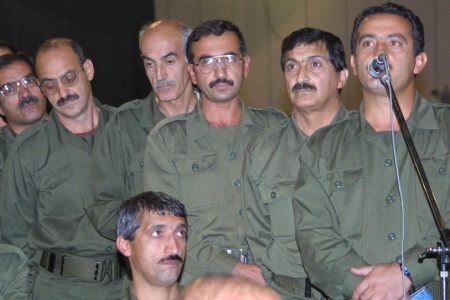 They said that many, perhaps the majority of MEK members want to leave the group but have nothing – no money, no place to go, no officially recognised status and no language skills – to help them do so. They are effectively being held in a state of modern slavery. A report by an Albanian lawyer (acting for MEK members who managed to separate from the group) after meeting with the UNHCR in Tirana reveals that under a secret agreement struck between the Americans, the government of Albania and the MEK leader, the UNHCR supervised the transfer of approximately 3,000 MEK from Iraq to Albania not as refugees but on a ‘humanitarian basis’. In other words, they have no official status in the country. 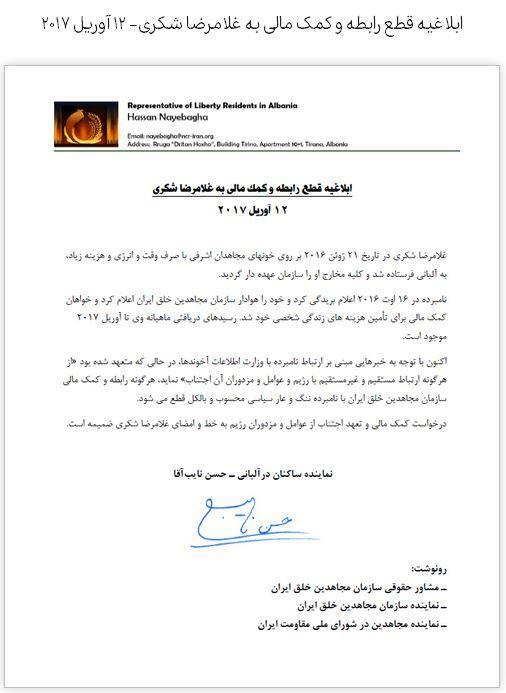 According to this agreement, all the expenses for the MEK members are to be doled out by the MEK itself. This means that members are totally dependent on the MEK leadership for their subsistence. 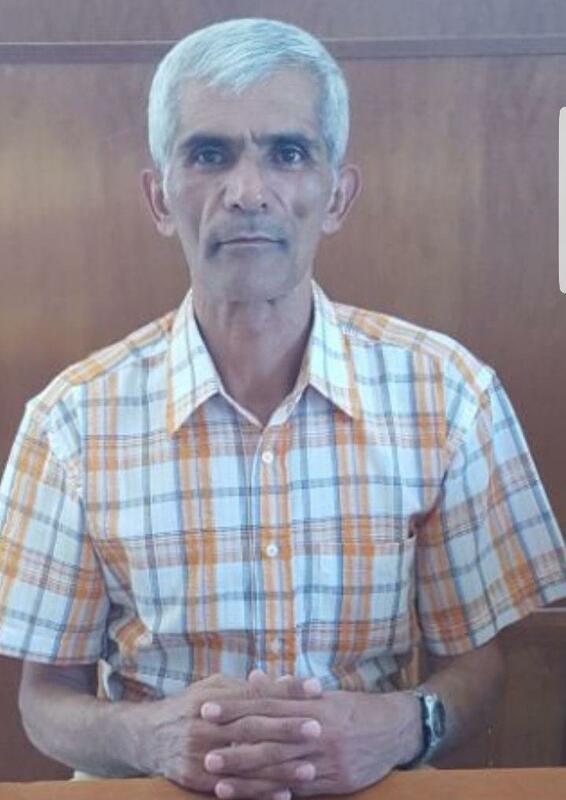 Those who have expressed their desire to separate from the group, for whatever reason, must continue to obey MEK rules and restrictions, they must accept MEK imposed conditions so that they are given accommodation and food. As such, they are forced to pay lip service to a belief system they no longer believe in. They are forced to give allegiance to a pseudo-political terrorist entity. Under these conditions, they are modern political slaves, trapped in plain sight in a circle of fear, coercion and isolation. The stories of those who do escape are harrowing. (See videos below.) 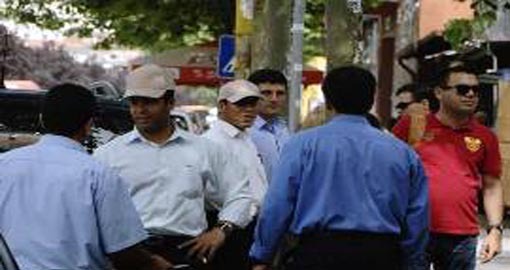 In the MEK, any word of dissent is punished. How? By public humiliation, beatings, solitary confinement and ultimately death. 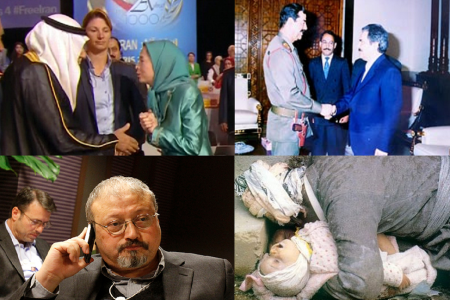 More poignantly, in the MEK contact with your family is a punishable sin against the leader. Your devotion must solely focus on Maryam Rajavi to the exclusion of all others. This is a disturbing addition to the ways and reasons that individuals are enslaved. It is known as cultic abuse because of the involvement of a belief system. 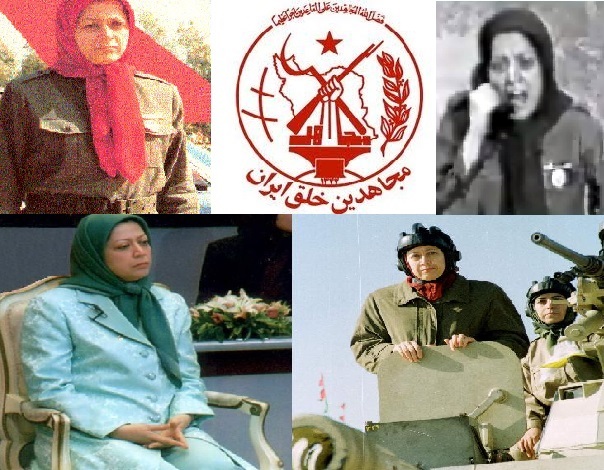 The MEK are political pawns whose minds have been hijacked for a cause most of them no longer believe in. Urgent action is needed to rescue them. But at present there is little hope of that. Even Albania’s deputy anti-trafficking coordinator, Dr Elona Gjebrea, who is also the deputy minister of the interior, has bowed down in the Court of Maryam Rajavi. When counter-terrorism expert Anne Khodabandeh visited Tirana on 5-7 November to investigate the plight of former members, several media interviews she gave were pulled from broadcast due to MEK and Albanian Mafia intimidation when she revealed that the MEK are actively recruiting Albanian youth to their cause. But a more sinister turn of events is taking place right now. The MEK is moving over 2,500 members to a remote camp in the north of Albania far away from any local communities. This desperate act serves several purposes. One is to recreate the isolation the cult enjoyed in Iraq where coercion and brainwashing were a daily occurrence – the new camp is called ‘Ashraf Three’. Another reason is to prevent families from reaching their loved ones and prevent members from escaping. The other is to empty the old university buildings in Tirana to make way for a new round of political slaves to take up residence. This time, families of Daesh fighters who have fled Iraq and Syria are rumoured to be ready to move to Albania on ‘humanitarian grounds’. While America turns a blind eye to political slavery, the European Union takes a very different view. Not only have Albania’s efforts to accede to the EU been completely stymied by the MEK’s activities there, the group’s alignment with the Albanian Mafia and the threat of a new wave of political slaves means Albania is now regarded as a security threat on the border of Europe rather than a potential partner country. Në Shqipëri ekziston një kërcënim i heshtur për të gjithë Evropën prej një grupi të përbërë nga tre mijë muxhahedinësh (MEK) që strehohen në një kamp në vendin tonë. Në një artikull të publikuar në Huffingtonpostthuhet se ekziston rreziku që MEK të bashkëpunojë me Mafian Shqiptare, madje janë përpjekur të rekrutojnë fëmijë shqiptarë për qëllimet e tyre. Për këtë arsye shteti shqiptar i ka zhvendosur në një kamp të dytë të quajtur ‘Ashraf Three’. Në shkrim thuhet se kur ekspertja kundër terrorizmit Anne Khodabandeh vizitoi Tiranën më 5-7 nëntor për të hetuar gjendjen e vështirë të ish-anëtarëve, në disa intervista që ajo i dha në media, u tërhoqën nga transmetimi për shkak të kërcënimit të MEK dhe të mafias shqiptare, kur ajo zbuloi se MEK po rekruton në mënyrë aktive të rinjtë shqiptarë për t’u bashkuar kauzës së tyre. Sipas autorit të shkrimit, qëllimi për ardhjen e mijëra muxhahedinëve nga Iraku në Shqipëri ishte programi për de-radikalizimin e tyre, por që nuk ndodhi kurrë. 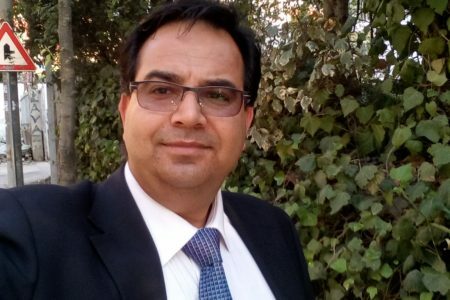 Artikulli ka për autor drejtorin e Konsulentëve për Strategjinë e Lindjes së Mesme, Massoud Khodabandeh, i cili njëkohësisht shpreh shqetësimin për një formë të re skllavërie, atë politike por edhe rrezikun e një Xhihadi të Dytë që paraqet kulti i muxhahedinëve me lideren e tyre Maryam Rajavi, siç i quan autori i shkrimit. Sipas tij, muxhahedinët në vendin tonë janë skllevër politikë, të indoktrinuar dhe në izolim të plotë. E nëse tentojnë të braktisin grupin, ata poshtërohen, dhunohen madje edhe mund të vriten. Ndërkohë që Amerika bën një sy qorr ndaj skllavërisë politike, Bashkimi Evropian merr një pikëpamje shumë të ndryshme. Jo vetëm që përpjekjet e Shqipërisë për të hyrë në BE janë penguar tërësisht nga aktivitetet e MEK-ut atje, përafrimi i grupit me mafien shqiptare dhe kërcënimi i një valë të re të skllevërve politikë nënkupton që Shqipëria tani konsiderohet si një kërcënim për sigurinë në kufirin e Evropës sesa një vend partner potencial. Një raport i Britanisë së Madhe mbi skllavërinë moderne identifikon manifestimet e saj të ndryshme; shfrytëzimin seksual, shfrytëzimin e punës dhe robërinë shtëpiake; duke përfunduar se rritja e ndërgjegjësimit rezulton në një rritje të zbulimit të rasteve dhe raportimeve. Trafikimi u cili i ka rrënjët te skllavëria moderne, është qartësisht një fenomen mbarëbotëror, pa u kufizuar në perëndim apo në ndonjë vend të veçantë. Skllavëria Moderne është zakonisht një fenomen i fshehur, ai vazhdon prapa dyerve të mbyllura dhe mund të jetë e vështirë për t’u zbuluar. Viktimat shpesh janë individë të izoluar, shërbëtorët e shtëpive ose fermerët e kanabisit, të mbyllur prapa dyerve të mbyllura. Askush nuk e di për ekzistencën e tyre, sepse ata janë trafikuar ilegalisht. Edhe ata që mbahen më hapur në shtëpi publike për shfrytëzim seksual, nuk janë në gjendje të shpëtojnë nga frika e hakmarrjes kundër vetes dhe familjeve të tyre në shtëpi. Por ekziston një formë skllavërie e fshehur në sytë e popullit të thjeshtë, skllavëria politike. Kjo nuk është e vështirë për t’u zbuluar, sepse llojet e grupeve që praktikojnë atë në mënyrë aktive kërkojnë publicitet dhe ndikim mbi politikat mbarëbotërore. 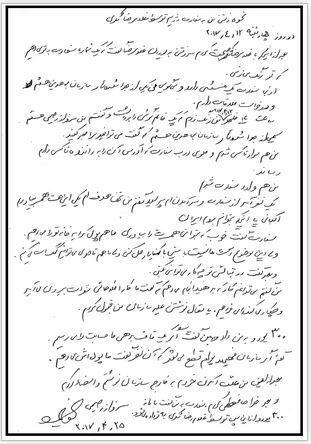 Organizata e mërguar iraniane Mojahedin Khalq (MEK aka MKO, NCRI, kulti Rajavi) është një grup i tillë. Ajo e përshkruan veten si një organizatë politike demokratike, opozita kryesore ndaj Republikës Islamike të Iranit. Por jeta e anëtarëve flet për një histori shumë të ndryshme. Një vit më parë, pjesa e fundit e rreth tre mijë anëtarëve të MEK u dëbuan më në fund nga Iraku ku ata kishin vepruar nën patronazhin e Sadam Huseinit. Amerika pagoi miliona dollarë për OKB-në dhe qeverinë shqiptare për të vendosur që grupi të vendoset në Shqipëri. Një pjesë e marrëveshjes ishte krijimi i një programi de-radikalizimi për kthimin e anëtarëve në jetën normale. Kjo nuk ndodhi. Në vend të kësaj, grupi mbylli radhët dhe gjatë vitit të kaluar, disa politikanë të nivelit të lartë dhe ish zyrtarë vizituan Shqipërinë për të thënë lëvdata mbi MEK dhe për qëndrimin e këtij grupi anti-Iran. 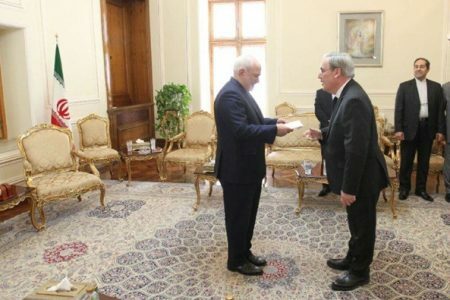 John Bolton, Senatori John McCain, ndër të tjera kanë promovuar pa masë grupin duke takuar udhëheqësin e tij Maryam Rajavi në Shqipëri. Një shqetësim më i madh ishte se gjatë kësaj periudhe të njëjtë familjet e këtyre anëtarëve të MEK-ut u ankuan në UNHCR dhe te qeveria shqiptare për trajtimin e të afërmve të tyre. Ata thanë se shumë, ndoshta shumica e anëtarëve të MEK duan të largohen nga grupi, por nuk kanë asgjë, pa para, pa vend për të shkuar, pa status të njohur zyrtarisht dhe pa aftësi gjuhësore, për t’i ndihmuar ata ta bëjnë këtë. Ata në mënyrë efektive po mbahen në një gjendje skllavërie moderne. 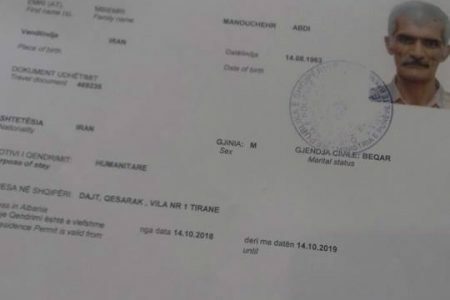 Një raport nga një avokat shqiptar (duke vepruar për anëtarët e MEK-ut i cili arriti të ndahej nga grupi) pas takimit me anëtarët e UNHCR-së në Tiranë zbulon se nën një marrëveshje sekrete të arritur mes amerikanëve, qeverisë shqiptare dhe udhëheqësit të MEK-ut, UNHCR do të mbikëqyrte transferimin e rreth 3,000 anëtarëve të MEK nga Iraku për në Shqipëri jo si refugjatë, por në një ‘bazë humanitare’. Me fjalë të tjera, ata nuk kanë status zyrtar në vend. Sipas kësaj marrëveshjeje, të gjitha shpenzimet për anëtarët e MEK-ut duhet të përcaktohen nga vetë MEK-u. Kjo do të thotë se anëtarët janë krejtësisht të varur nga udhëheqja e MEK-ut për jetesën e tyre. Ata që kanë shprehur dëshirën e tyre për t’u ndarë nga grupi, për çfarëdo arsye, duhet të vazhdojnë t’i binden rregullave dhe kufizimeve të MEK-ut, ata duhet të pranojnë kushtet e vendosura nga MEK në mënyrë që t’u jepet strehim dhe ushqim. Si të tilla, ata janë të detyruar të paguajnë shërbimin në një sistem besimi ku ata nuk besojnë. Ata janë të detyruar të japin besnikëri ndaj një entiteti terrorist pseudo-politik. Në këto kushte, ata janë skllevër politikë moderne, të bllokuar në një pamje të qartë në rrethin e frikës, shtrëngimit dhe izolimit. Tregimet e atyre që bëjnë arratisje janë tronditëse. (Shih videot më poshtë.) Në MEK, çdo fjalë e mospajtimit dënohet. Si? Nga poshtërimi publik, rrahjet, izolimi vetjak dhe përfundimisht vdekja. Më shumë prekës, rebelimi i familjes tuaj ndaj MEK është një mëkat i dënueshëm kundër udhëheqësit. Përkushtimi juaj duhet të përqendrohet vetëm në Maryam Rajavi me përjashtim të të gjithë të tjerëve. Kjo është një shtesë shqetësuese për mënyrat dhe arsyet që individët janë të skllavëruar. Njihet si abuzimi kultik për shkak të përfshirjes së një sistemi besimi. MEK janë këmbësorë politikë, mendjet e të cilëve janë rrëmbyer për një shkak që shumica e tyre nuk besojnë më. Veprim urgjent nevojitet për t’i shpëtuar ata. Por aktualisht nuk ka shumë shpresë për këtë. Madje zëvendës koordinatorja e antitrafikut në Shqipëri, Dr.Elona Gjebrea, i cili është gjithashtu zëvendësministre e Brendshëm, ka shkuar në Gjykatë për rastin e drejtueses MEK, Maryam Rajavi. Kur ekspertja kundër terrorizmit Anne Khodabandeh vizitoi Tiranën më 5-7 nëntor për të hetuar gjendjen e vështirë të ish-anëtarëve, në disa intervista që ajo i dha në media, u tërhoqën nga transmetimi për shkak të kërcënimit të MEK dhe të mafias shqiptare, kur ajo zbuloi se MEK po rekruton në mënyrë aktive të rinjtë shqiptarë për t’u bashkuar kauzës së tyre. Por tani po ndodh një kthesë më e keqe e ngjarjeve. MEK po kalon 2,500 anëtarë në një kamp të largët në veri të Shqipërisë, larg nga çdo komunitet lokal. Ky akt i dëshpëruar shërben për disa qëllime. Njëra është rikrijimi i izolimit që ky kult ka gëzuar në Irak, ku detyrimi dhe pastrimi i trurit ishin një dukuri e përditshme, kampi i ri quhet ‘Ashraf Tre’. Një arsye tjetër është parandalimi i familjeve nga arritja e të afërmve të tyre dhe parandalimi i ikjes së anëtarëve. Tjetra është që të zbrazin ndërtesat e vjetra universitare në Tiranë për të bërë rrugë për një raund të ri të skllevërve politikë për të marrë vendbanimin. Këtë herë, familjet e luftëtarëve të Daeshit që kanë ikur nga Iraku dhe Siria thuhet se janë gati të lëvizin në Shqipëri për ‘arsye humanitare’. 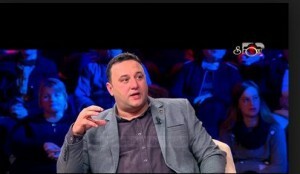 Sahar Family Foundation interview with Manouchehr Abdi who has recently left the Cult of Rajavi in Tirana, Albania. The interview has been partly translated. SFF: Mr. Abdi, Thank you for your time. Please introduce yourself. 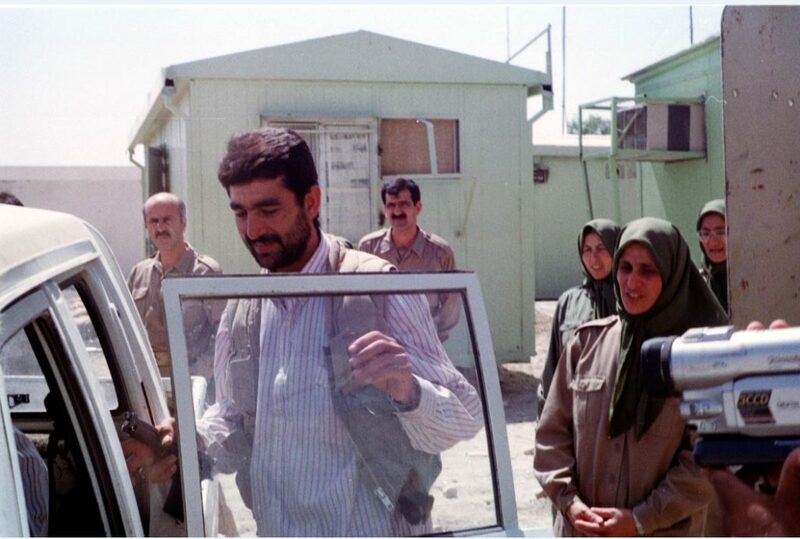 SFF: when you were in Iraq, did you know about the families who were picketing in front of the gates of camp Liberty or Camp Ashraf? What was the group’s reaction? How did you feel at the time? SFF: after the fall of Saddam Hussein in 2003 and the disarmament of the organization by the US military, and finally the departure of the group from Iraq that resulted in losing the Iranian border, how do the group authorities maintain the hope of regime change in the minds of members? SFF: what prohibits people from leaving the group? How many people do you think have decided to stay in the group with their own free will? SFF: what are the main questions in the minds of the group’s members? Do the authorities answer their questions? M.A. 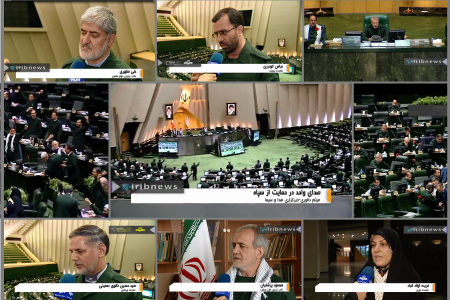 : Their main questions are these ones: Now that we are disarmed and far from Iranian border, what are we doing here? Why are we staying here far from Iraq- that once it was the center of struggle as you said. Of course, whenever you ask these questions you are punished by the authorities. Another taboo was to ask about the whereabouts of Massoud Rajavi. No body dared to ask. SFF: what is the approach of the authorities towards those who want to leave the group in Tirana? If you want to leave the group, you will endure the most severe brainwashing sessions. If you don’t change your mind you will be kept in solitary confinement for a month. During this one month they will use various mental tortures in order to keep you in the group. SFF: what is your idea about Maryam Rajavi’s recent trips to Albania? What do members think about her recent visits with American warmongers who supported ISIS? SFF: How do you see the current and the future situation of the group? M.A. : The main problem of the MKO is the increase in defections. The authorities have to spend a lot of energy to prevent members from leaving. The organization is losing its capacity, it is expired, and no future is seen for it except its collapse. 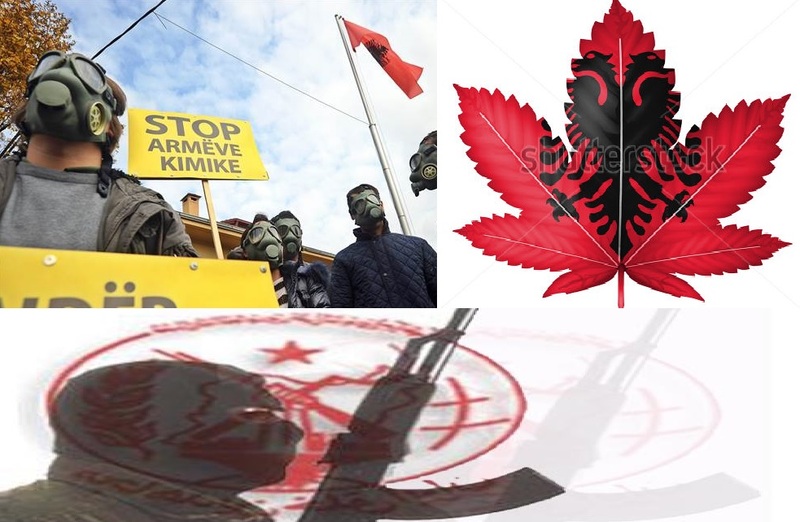 SFF: Are the people of Albania concerned about the presence of the MKO in their territory? What is their reaction? SFF: how do the HCR and the Albanian Interior Ministry deal with the case of defectors of theMKO? M.A: The HCR and the government of Albania do not admit any responsibility regarding the problems of the defectors. The MKO has deals with them. They have been paid heavy bribes. 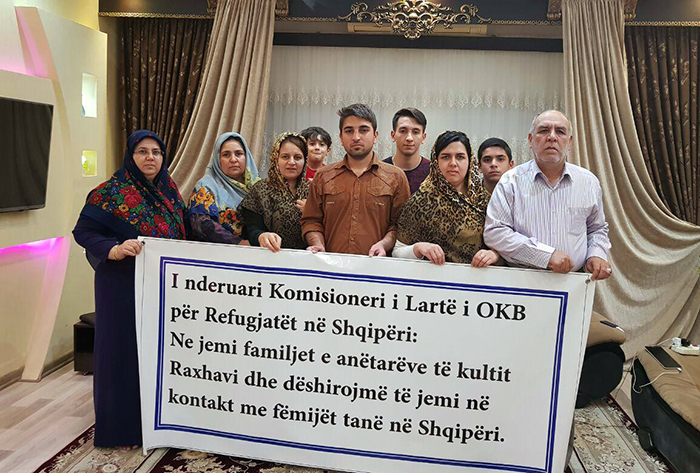 SFF: what is your message for families of MKO hostages, for other defectors and for those who are still imprisoned in the group? 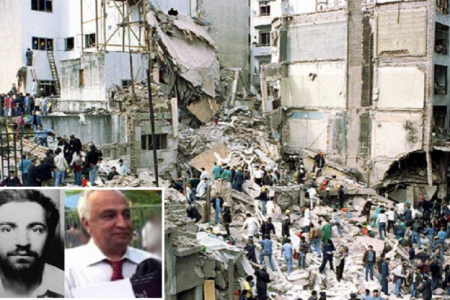 M.A: I ask the families of the cult hostages not to retreat. They should continue their efforts in the international community to pressure the group, to break the bars around their children. I also tell the rank and file inside the cult — If they could hear me. I’d like to tell them that I was like them, at first. I even couldn’t imagine that I would survive outside the group, but now I’m here, I’m free. That’s enough for me. I just want to tell them: This organization is a liar. It’s unjust and hypocrite. Don’t waist life for nothing! SFF:” Thanks for your time. We hope prosperity and success for you and all survivors of the cult of Rajavi. We also hope freedom and salvation for all those who are taken as hostages in the cult. 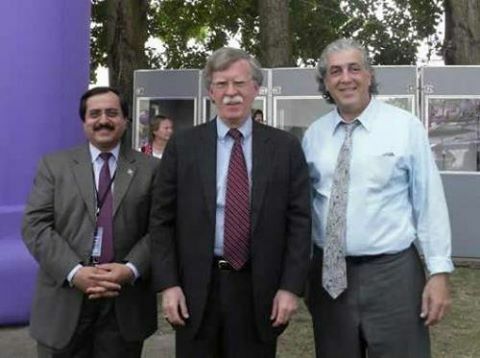 M.A: I do appreciate you and Sahar Family Foundation for the opportunity you gave me to reveal a very small part of atrocities of the cult of Rajavi. […] It was just a slight part of the crimes the MKO committed. The MKO is the biggest mafia of this century. 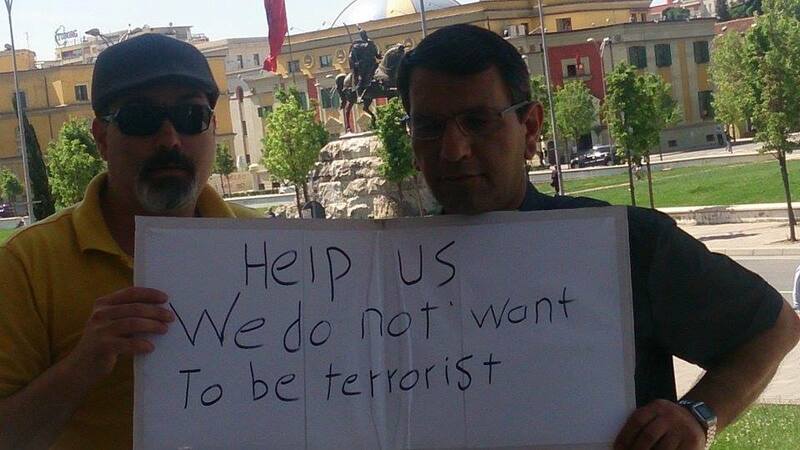 For the attention of former MEK members in Albania: What is to be done? Where does the UNHCR refugee allowance of individual MEK members go? One humanitarian issue which the international humanitarian and human rights organizations unfortunately totally ignore, of course for political interests, is the situation of former MEK (Mojahedin-e Khalq,Rajavi Cult) members in Albania. 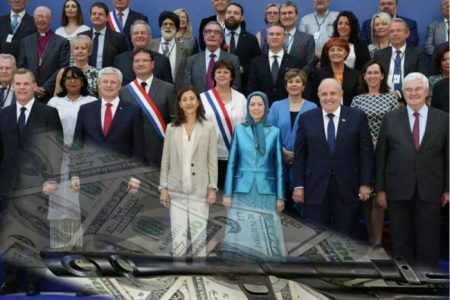 According to a deal made in Geneva between the UNHCR and the MEK, the entire refugee allowances due to individual MEK members who are resident in Albania is being paid to the MEK leaders to be spent as they wish and not paid to the individual members for their personal support. During Saddam Hussein’s era in Iraq, Massoud Rajavi used to receive per head allowances from the Iraqi government. Rajavi used to exaggerate the number of individuals in his organization in order to get more money. Even those living in Europe and America or even the dead were included in the list. 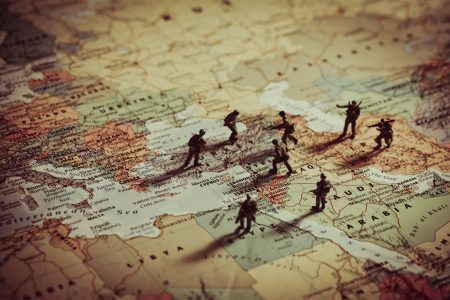 Members were brought into Iraq for training sessions or meetings and their arrival was registered, but their departure was not and by doing so the numbers for claiming payments was increased. 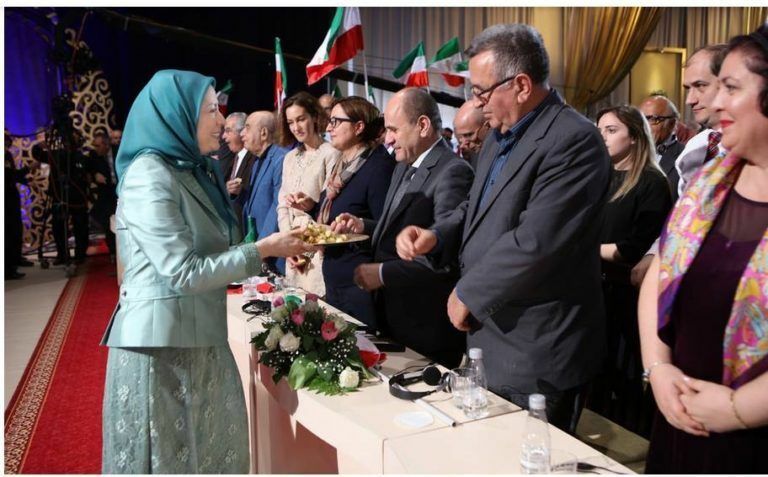 At the present time, the Rajavi cult has included even those who have defected the organization and those living outside Albania in the list it gives to the UNHCR. In this way, it receives extra refugee payments. It also means that those who have left the organization do not receive the allowance they are entitled to. In the cult’s list, there are some who have left the cult and even gone back to Iran, but the MEK still gets their allowances. It is doubtful that the UNHCR does not know about this. 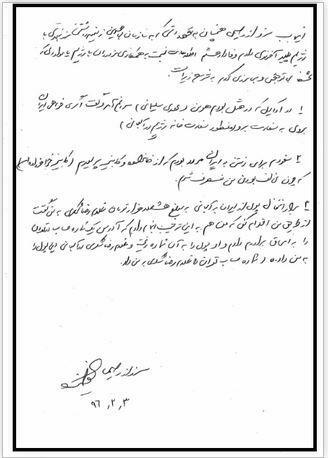 Before members were transferred to Albania from Iraq, the Rajavi cult insisted that members sign letters asking for their monthly allowance to be paid directly to the MEK instead of to them as individuals. 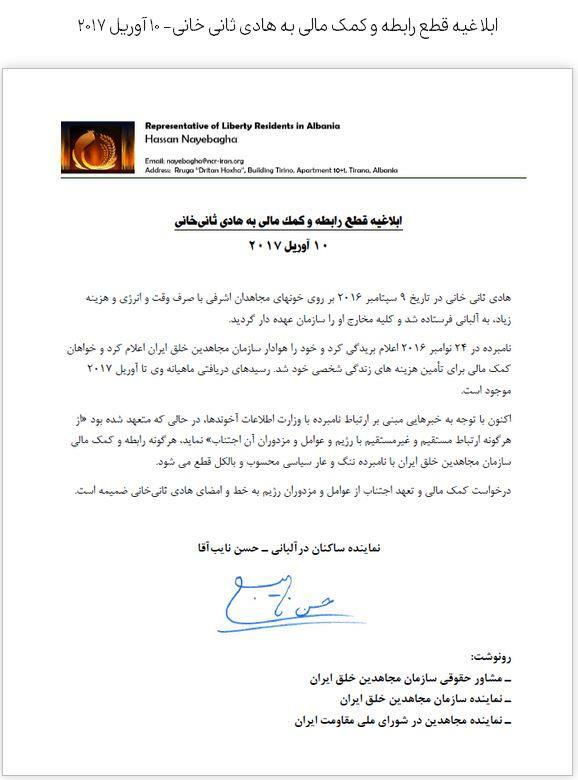 These letters were in English, so most members are unaware of the content of what they signed. And of course, those who have subsequently separated from the MEK are also included in this scheme. Such members were intent on gaining security and freedom and wrote and signed anything so they could escape their current circumstances in Iraq. By this trick, the Rajavi cult managed to keep control of everyone wishing to leave the organization. What can someone do in an alien country, without any facilities, no job or money and not knowing the language? 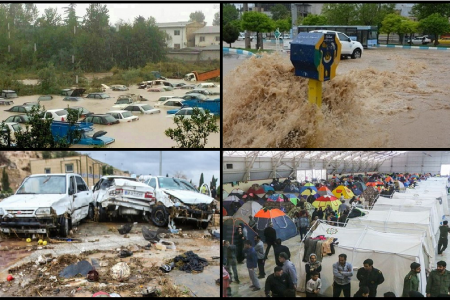 To those who leave the MEK, the cult only pays half the amount available to them as refugees, which does not cover even their most basic necessities. They are forced to depend on the MEK for housing and food. 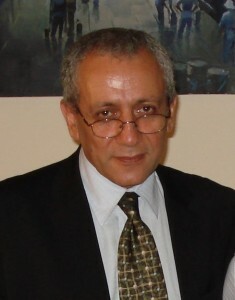 The allowances of some of these dissenting members have been cut on the false pretext that they contacted their family in Iran which, according to the cult, is equal to contacting the Iranian regime. 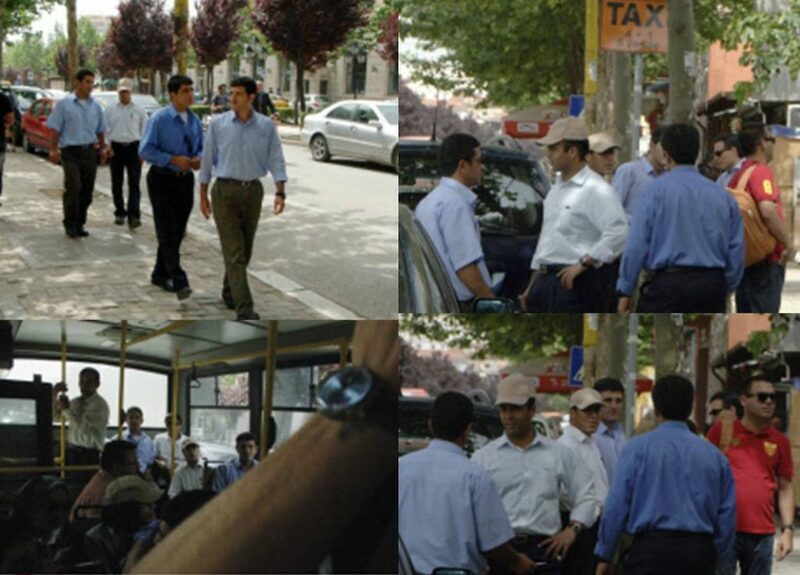 The other trick used by the Rajavi cult, which is always used inside the organization for controlling the members, is to place spies everywhere to report the conversations and actions of the others. These individuals in Albania get more allowances than the others even though everyone is entitled to the same amount. The same thing used to be done in the TIPF in Iraq to create differences between the defectors and generate an atmosphere of distrust amongst them. Lawfully, the UN or the UNHCR have no right to have any direct relationship with organizations. No group can be considered as refugees, in particular if it is a political organization and even worse a terrorist cult. The UN or the ICRC or any other official international organization cannot play the role of benefactor for any organization against a country which is a member of the UN. 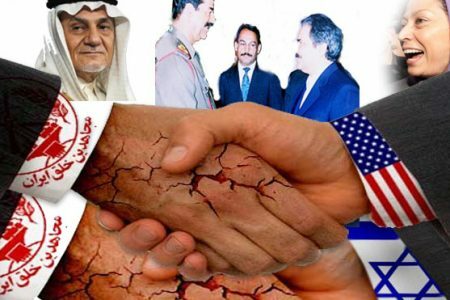 The use of US gangs today, and Saddam Hussein in Iraq in the past, created from the MEK in which the members are considered individually as refugees is unlawful and against the regulations of the UN. The UNHCR must deal with each refugee in person. The relationship of the UNHCR with the Rajavi terrorist cult is in contradiction to the UN’s internal regulations and is not acceptable. Of course in the past, in Iraq, the UN and the UNHCR committed this breach of rules both in Ashraf garrison and in Liberty camp. Even if refugees rescind their right to receive the allowance directly and ask for it to be passed to someone else, the UNHCR should not agree to this. At the present time, regarding the advantage given to the cult by the UN, the members and the former members are alike under the control of the cult. They are all forced to obey the demands of the cult leader. Maryam Rajavi has told those wishing to leave the organization: “do not suppose our hands are tied here in Albania”. 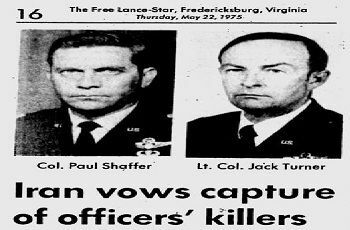 She has emphasized that: “here is the land of the Pentagon and we are part of the Pentagon and our power now is even greater than when we were in Iraq under Saddam Hussein”, and by saying so she wanted to prevent members from leaving the group and tried to cover up her cult’s present weaknesses. 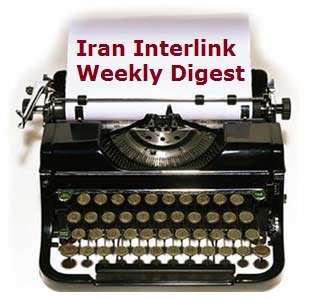 Once again it is worth noting that withholding or reducing a refugee’s allowance by the MEK is against the law, particularly when the cult asks them to spy on others and write and sign whatever is wanted to establish the payments. For some time now anti-corruption activities have escalated in the country. For some months this year the parliamentary representatives of the Democratic Party refused to attend the assembly and boycotted the parliament. They demanded that the Prime Minister resign before the election since he might cheat. The parliament has appointed its speaker as the new President. He has announced that the election must go ahead but has given no guarantees to the opposition. The ambassadors of the US and western countries say that the elections, with or without the Democrats, must be held on the 18th June. 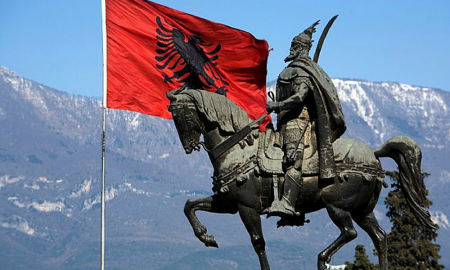 In the next few weeks some demonstrations and even street conflicts are expected in Albania since the Democrats have been ignored by the west but they have popular support and it seems there might even be violent clashes. The latest news is that the government and the opponents have reached an agreement but they did not reveal its contents. There is a possibility that they postpone the elections in order to sort things out beforehand. One internal problem in Albania is corruption. The Albanian deputy interior minister Elona Gjebrea is an MEK lobbyist who is also devoted to the Neocons in the US. She has recently visited the UK in her role as the Albanian anti-trafficking coordinator. She was invited to the US before that and she follows US policy in this regard. Even the Albanian media is dissatisfied with her and question whether she is a deputy minister in the Albanian government or the MEK lobby, in particular when the elections are ahead. 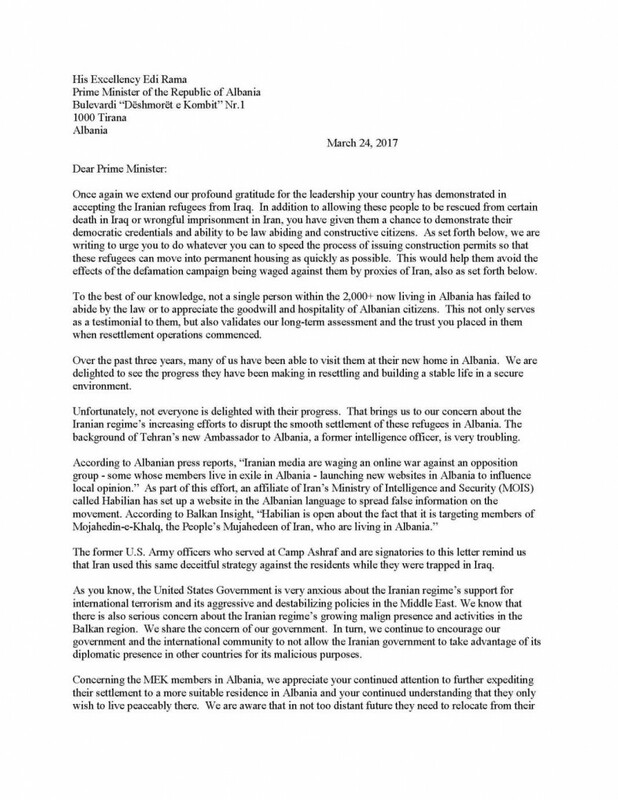 A link to one example of protest against the deputy interior minister of Albania, who even says “I am a Mojahed-e Khalq”, can be read below. The American paper Huffington Post has also written about Elona Gjebrea – responsible for countering slavery in Albania – giving support to Maryam Rajavi’s modern slavery. This has also been covered by the Albanian media. This article can be read in the link below. The translation of the above mentioned article in the Albanian press can be reached in the link below. When the Albanian government of Edi Rama agreed to host the MEK, an agreement was reached that no cost and no problem would ensue for the country and that everything would be under the supervision of the UNHCR. The agreement indicates that responsibility for all the members is with the UN and there should be no burden left on the shoulders of the people of Albania. The US promised the Albanian government that the MEK members transferred to Albania would all be under control. One of the things can be done is that the former members show in different ways that they are not controlled by the cult and they are free. 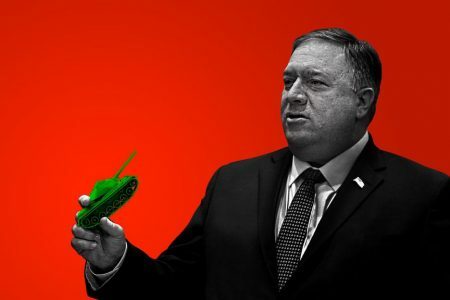 By doing this the promise made by the US to the Albanian government that everyone transferred into the country is under the control of the MEK and there is no need for direct involvement of Americans and Albanians, is broken. The same thing happened in Iraq and the US had to establish TIPF for the separated members with separate costs. The former members in Albania do recognize that although the cult has taken away their UNHCR allowances, but at the same time it is very afraid of their freedom of action, particularly interviewing the press. They would even pay more if there is a chance of media coverage on these issues. Therefore, the formers can be encouraged to adopt a more active role instead of their present passive part. 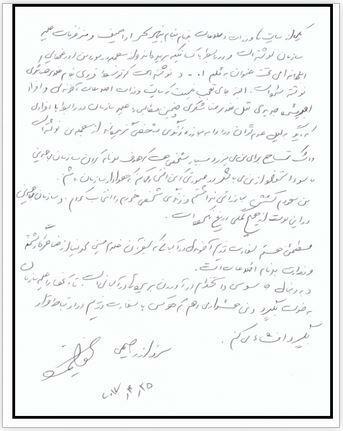 The Rajavi cult has given letters to some former members stating that their allowances would be cut on the excuse that they have contact with the Iranian regime and has even published these letters in the cult’s websites. 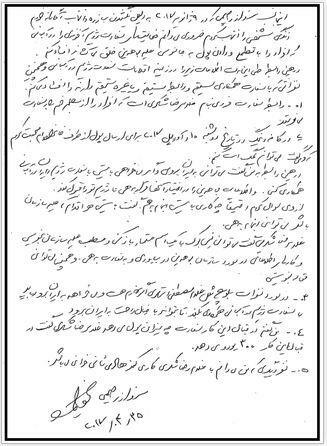 These are documents which could be used against the MEK and the UNHCR and even the Albanian government which must be held responsible for it. 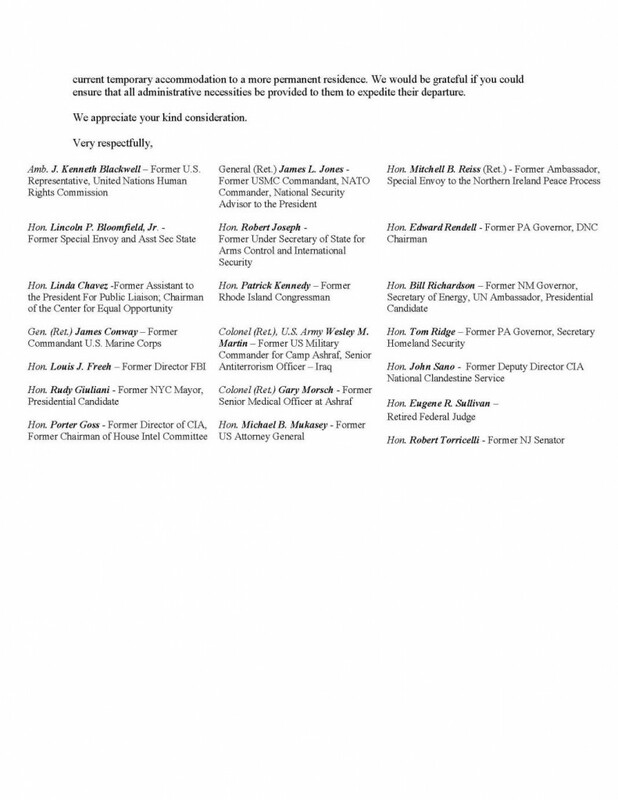 The Rajavi cult has exploited these individuals for their whole life and now refuses to pay them their minimum rights. 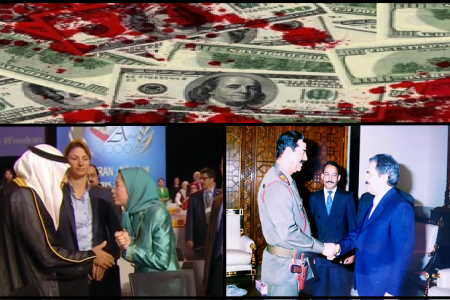 The MEK should not be the intermediary for this payment. The will of the former members is that a center under the supervision of the UNHCR and the Albanian government be established to deal with the refugees individually and not as a group. This wish must find its way into the media in the country. 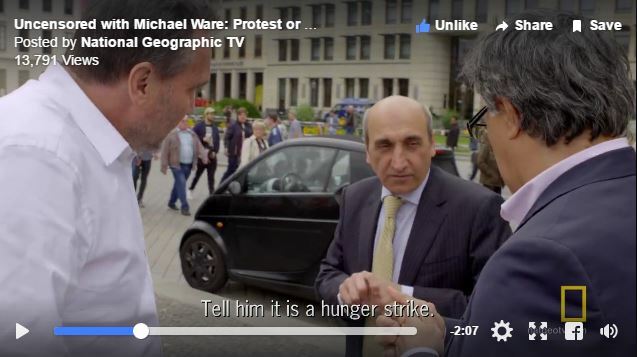 The former members can approach the UNHCR in Tirana and ask them why there is a breach of law and why their affairs have been left for the cult to deal with. They can give the result of their activities to the media to inform Albanian public opinion. 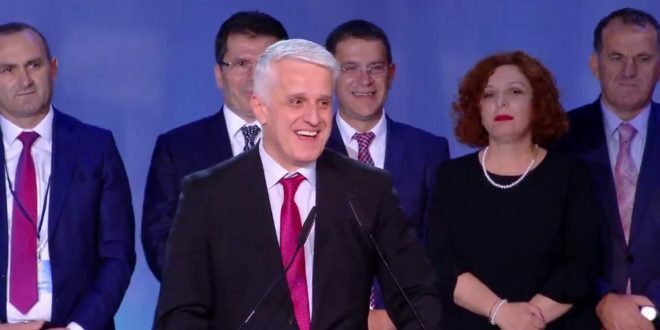 Any media pressure by the former members in English or Albanian on the UNHCR – which has illegally given their allowances to the MEK – and on the Albanian government, particularly the interior ministry which has become a lobby for the cult, will be useful and would have an effect on the elections. 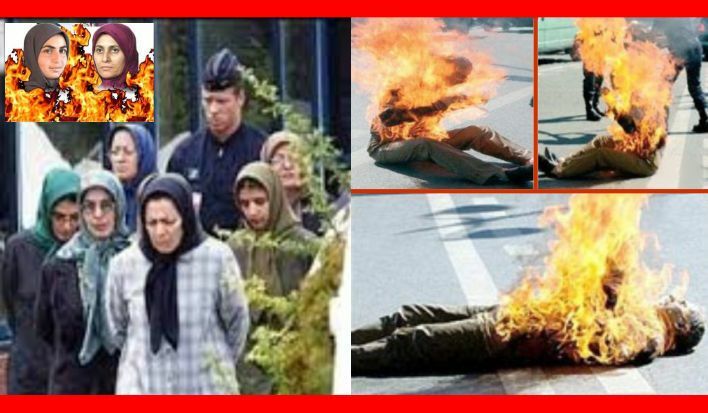 The Rajavi terrorist cult has a pressure lever called the UN allowances, and of course the former members have an even more useful lever which is the public opinion and the special situation of the cult in Albania before the elections which can help them to gain their rights from the MEK. Please let us know your opinions.